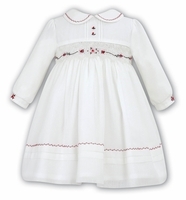 This adorable little ivory cotton blend batiste smocked baby dress is made by Sarah Louise, a top British designer of beautiful baby garments. 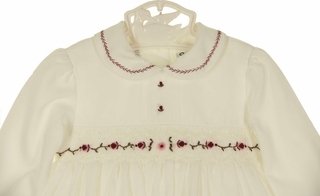 It features a hand smoked yoke accented with cranberry and pink embroidered flowers. This sweet little dress has a Peter Pan collar accented with cranberry stitching and long sleeves finished with narrow bands embroidered with flowers. 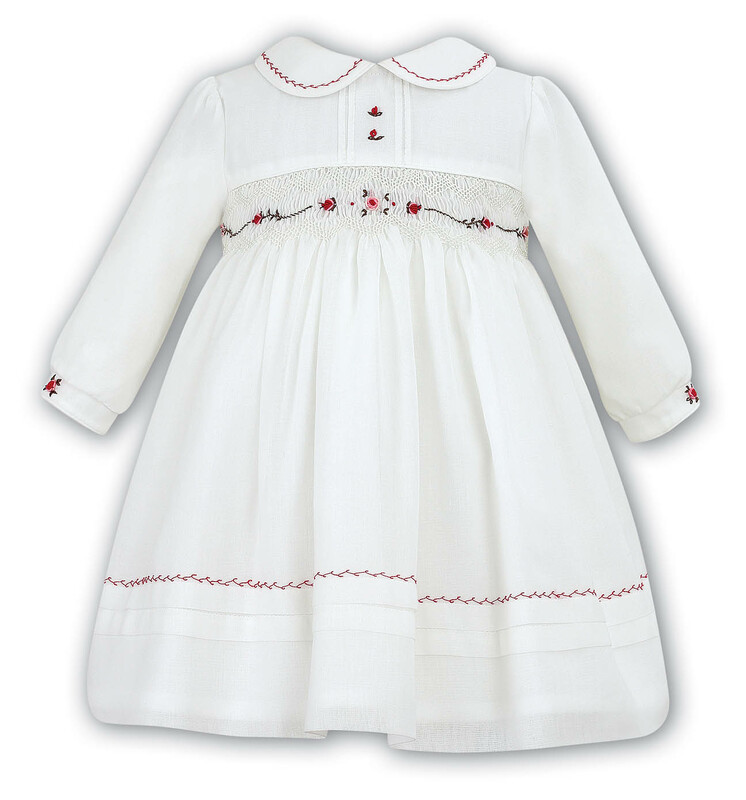 The dress is finished with a deep 3" hem topped by pintucks and cranberry stitching. 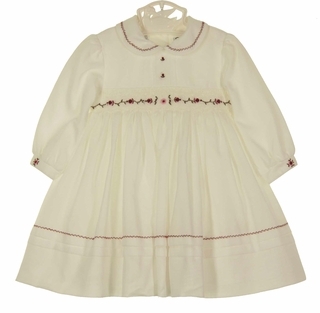 It has an attached petticoat for added fullness and closes in the back with three small buttons. Perfect for your baby or toddler girl for Christmas, Valentine's Day, portraits or any special occasion!